Colimador Optico SGS 420 3T, para chequiar Teodolitos, Estaciones totales y niveles. Colimador Optico SGS 420 3T, para chequear Teodolitos, Estaciones totales y niveles. 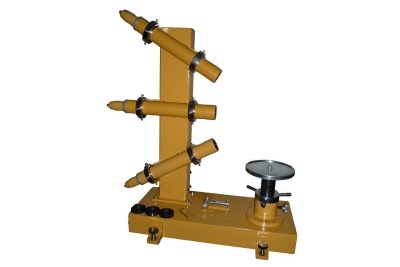 1.1This model of equipment adopts totally two collimator tubes which have the focus of 550 and been designed with plunge angle and collimation horizontal angle. Optical Collimator System SGS-3 is specially designed for checking Automatic Levels,Optical/Electronic Theodolites, Total Stations and other Optical Levels.